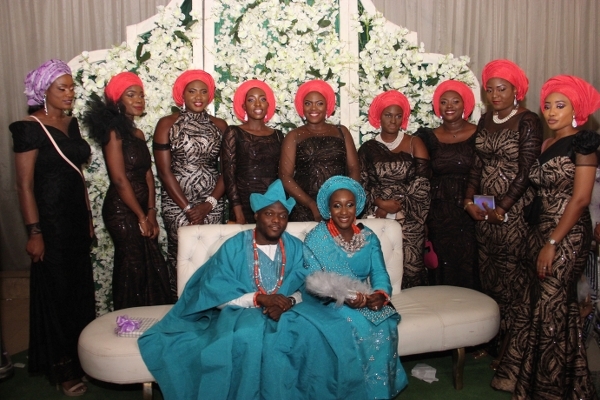 Aare Bolu Akin-Olugbade is a Rolls Royce freak. He loves Rolls Royce Limousines a lot and he has been driving Rolls Royce since age 21. 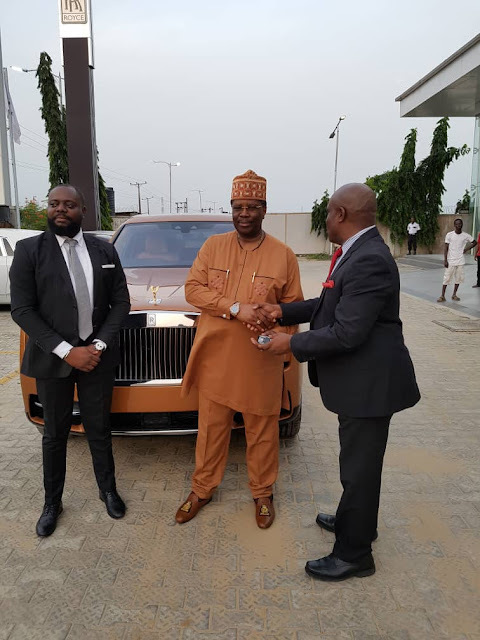 And lets quickly tell you that all the cars he has bought over the last 10 years have been Rolls Royce. So in love is the Oil & Gas magnate that he has Rolls Royce limousines in his homes all over the world in LA, New York and Dubai. At the last count, he owns about 10 Roll Royce limousines. 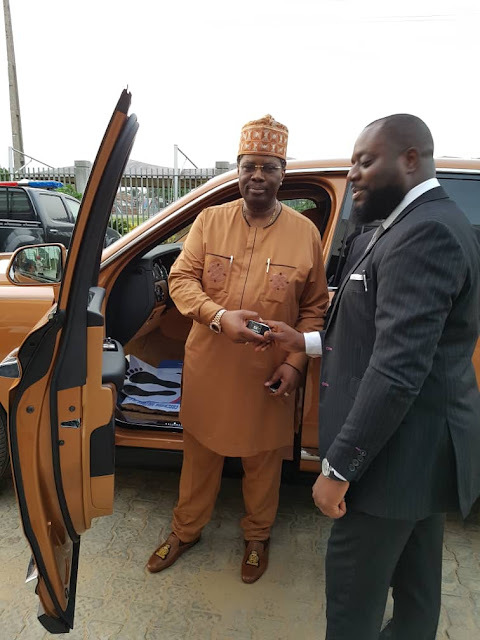 The big news now is that the Owu born Aare Ona Kakanfo of Owuland a few days back took delivery of a sparkling clean Rolls Royce Cullinan, the latest from the stable of Rolls Royce makers. It is a RR Cullinan, fully loaded. Already, Coscharis Motors launched the new model. Last week, in Lagos, Bolu Akin Olugbade’s new RR Limousine was used by Coscharis Motors to launch the Rolls Royce Cullinan in Nigeria at the residence of the Deputy British High Commissioner to Nigeria at Queens Drive, Ikoyi, Lagos in the presence of top executives from Rolls Royce Motors in England and South Africa because Bolu’s Cullinan was the 1st to be made for Africa. 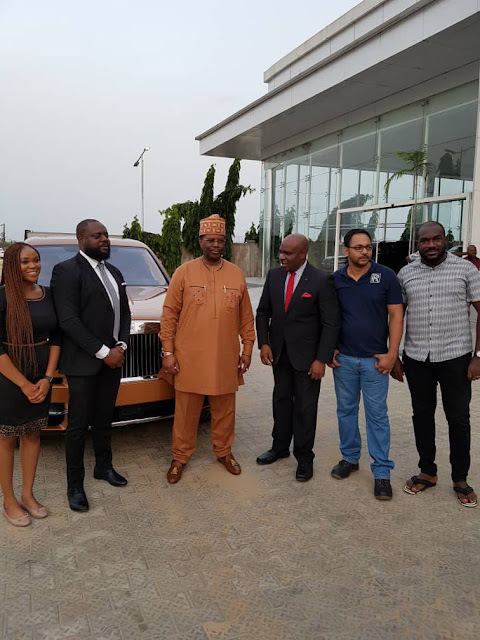 There was dinner for 20 owners of Rolls Royce cars in Nigeria at the same venue after the Launch of Bolu’s Cullinan. Only very few Nigerians can afford the Rolls Royce. 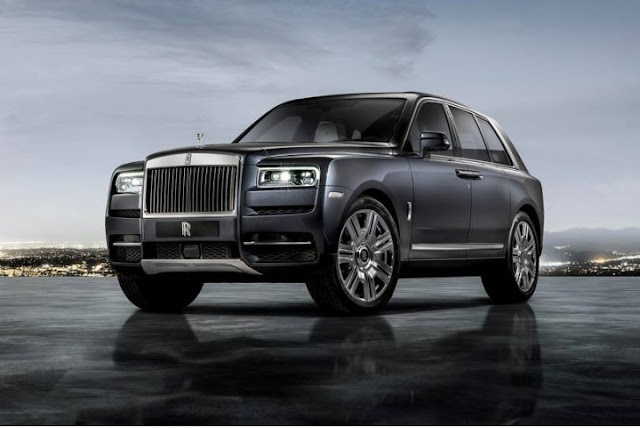 City People can confirm that Aare Bolu’s and Rolls Royce, is the 1st to be produced for Africa and the production was completed at the RR factory in Nov. 2018. 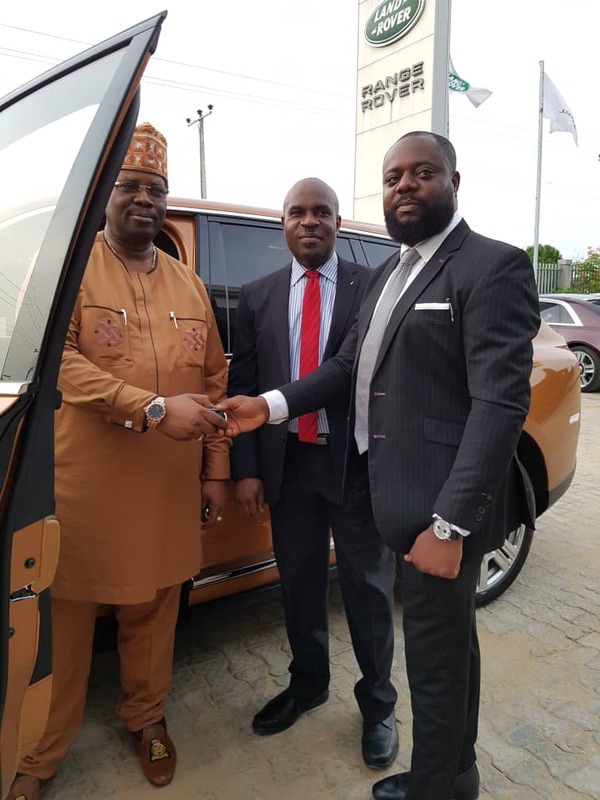 All brand new RR cars meant for Nigeria must be ordered through Coscharis and the RR dealers are forbidden from selling a brand new RR car for Nigeria. 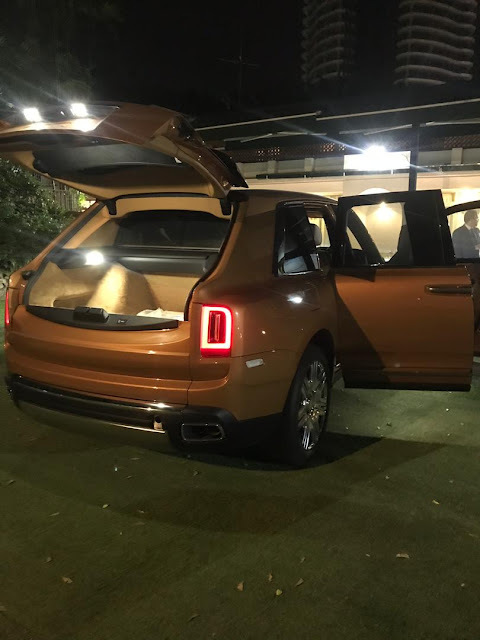 Further, such a new car that is ordered through Coscharis will not have the 4 year RR warranty. 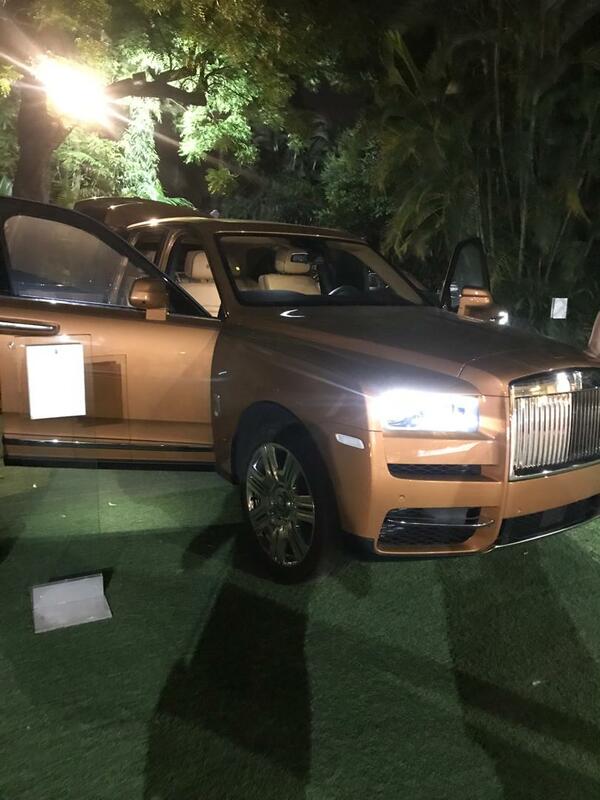 Billionaire businessman, Prince Bolu Akin-Olugbade, once told City People that he got his 1st Rolls Royce in 1984. His name is synonymous to Luxury. This is because when you hear his name, the first thing that comes to your mind is his penchant for Luxury cars, like Rolls Royce. Known for his high taste and Fashion sense, Prince Akin Olugbade has about 10 Rolls Royce which has his customised plate numbers like “BOLU 1, 2, 3, 4, 5, 6,7...” The number plate for his Rolls Royce Cullinan is Bolu 10 A great businessman with diverse business interests spanning across Law, Oil & Gas, Property development, Construction, Manufacturing, logistics and many others, Prince Bolu Akin-Olugbade usually causes a stir when he drives into an event in any of his fleet of Rolls Royce cars. 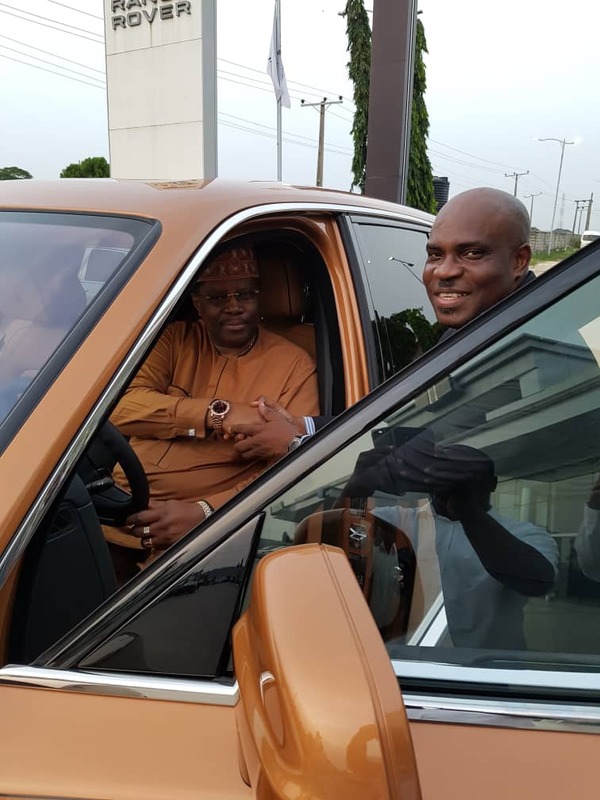 This man who has a Knack for good automobiles after much insistence revealed how he fell in love with luxury brand automobiles which has since become his best pet..“People like asking me about my love for Roll Royce And I think it has being over flogged. I run a successful business empire and I am into lots of things. Permit me to say with sense of modesty that I have being driving Rolls Royce for as long as I can remember. I started driving Royce in 1984 which was about 31years ago“ he revealed. Apart from his love for luxury automobiles, he also loves wrist watches He has many collection of. He is a collector most exotic pieces. 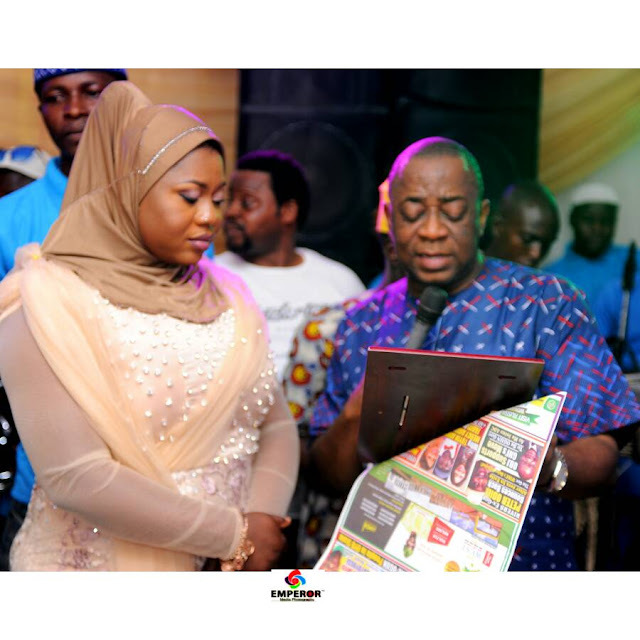 He once revealed why he likes this and he revealed “There is a Yoruba proverb that says that if you want to eat frog, eat the one that has egg, so If I am going for a car for instance why not buy the best”.